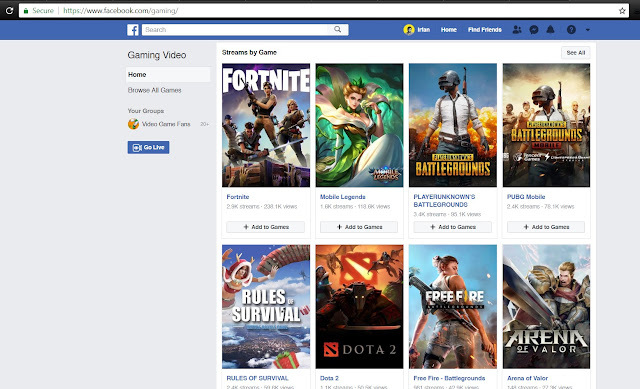 Facebook is going after those eyeballs on Twitch. The social network has launched fb.gg, a hub which makes it easier for people to find gaming content that's been streamed on the platform. Front and centre in the hub are primarily popular titles such as Fortnite, PUBG and FIFA 18, as well as a selection of recommended streams. If you're already following a streamer, they'll appear on the sidebar, and you can also view streams that your friends on Facebook have recently watched too.